Full Armpit length (APL). Even though I will be trimming my hair this year, I still hope I can reach APL by the end of the year. I will be taking hair supplements to accelerate my hair growth. Keep my hair tips/ends hidden as much as possible. Although I enjoyed leaving my hair out last year, I want to conserve as much length as I can this year. Relax my hair every 3 – 4 months. I am hoping I can keep the time to a maximum of 15 minutes only. Start a hair journal to track the hair techniques & products I use weekly and daily. Plus taking note of how my hair reacts to my products and techniques. Start a free online ‘Hair reform academy’ to help people who are interested in learning how to take care of their hair. More details coming in February soon. Do a curl former set at least twice this year. Make Youtube videos at least once a month. 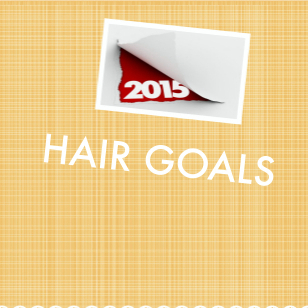 So, what are your 2015 hair goals? I will be posting my 2015 hair regimen in my next 4 posts: weekly, day-do-day maintenance, henna AND flat iron regimens. Amazing! Uve got me totally hooked.I’m so amazed @ ur dedication.I found ur blog jan 1 2015,as I was contemplating what to do to my hair cos I was 4wks post relaxer.but as I read all u wrote I decided to stretch my hair till abt 20wks.pls is this ok?cos my hair presently is breaking.I’ve already began my hair journey.pls I need help as to how to begin a regimen that will suit me,cos i have limited product access.I’ve read all d products u suggested and I don’t have any yet.I’m trying to improvise though. This is my e mail bdakpo@gmail.com looking forward to ur reply. God bless u. Thank you for your comment. Before you decide to stretch for 20 weeks, why not deal with your breakage first. I have several posts I have written about hair breakage. Please read them by clicking HERE. How long do you usually stretch your relaxers for? Maybe you should try extending that time by 2-4 weeks instead of 20 weeks so that you use that time to learn more about your hair. As you get to know and understand your hair better, you can then stretch for 20 weeks. 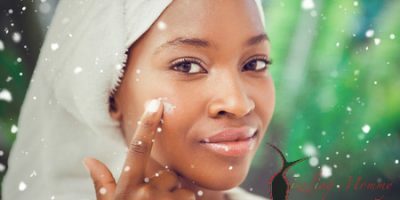 You don’t have to use the products I mentioned in my post but you can substitute with products that easily accessible to you. For me to create a regimen for you, I would need to know your hair type: coarse, normal or fine. How do you intend doing your hair: at home or in the salon? What brands are accessible to you? Yay! Loving your goals for the year. I too, am all about growth this year so focusing on protective styling in the form of braids and weaves…..what hair supplements are you planning to use? i’m thinking of using sublingual biotin. i need some growth!!!! Love the idea of a hair reform academy so well done and good luck with that!! !I’m happy you decided to make more videos… can’t wait to see them! Happy new year!!!! Hi Furo. Thanks for your comment. I’m going to use Bamboo tea and Bamboo supplements. I’m looking forward to the academy myself and still thinking about what topics to make a video of. Happy New year dear! I did the two step Aphogee treatment five days ago and still have shedding. After shampooing with this product my hair feeling very dry and tangled like never before. Are my expectations of this product unrealistic. Trying not to use heat everyday also to get healthy hair. Hi Glenda. Thank you very much for your comment. ApHogee protein treatment doesn’t stop shedding. It does however help to stop hair breakage caused by damage from chemicals, etc. If you are shedding, you might want to use coffee to rinse your hair. Please read this post for other alternatives to reduce shedding. 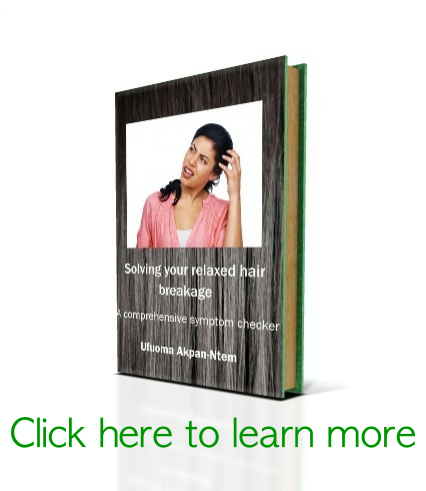 http://thesizzlingmommy.com/2011/12/understanding-difference-hair-shedding-breakage.html Thank you. When you get a perm do you wash out the cream when it starts to burn? I wash out the relaxer within 20 minutes of the time of initial application. I don’t wait for it to start burning. Plus I base my scalp with vaseline before the relaxer is applied. Thanks Maymunah! What is the best product to color relaxed hair (cover gray)? hello, a friend told me jbco makes hair long am having a long natural hair which I cut last year and its not growing so she asked me to look into ur page and DAT jbco helps to grow long hair.